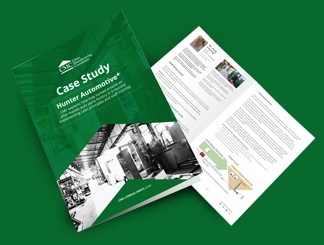 Which Factory Turnaround Strategy Did CMC Implement With This Auto Parts Factory, And How Can Your Factory Benefit From Lean Management Consulting Too? Elimination of Bottlenecks – CMC consultants identified the bottlenecks and worked on elevating the factory’s capacity through process re-engineering. Production Planning — with CMC’s guidance the factory was able to switch to smaller batches, in order to reduce lead times, inventory, & transportation costs. CMC also introduced a kanban system for machining and fabrication processes. Preventive Maintenance Plans — CMC showed the factory how to reduce the occurrence of machine breakdowns and the proportion of parts out of tolerance, thereby improving quality and capacity at the same time. Doubled the capacity of the existing factory in only 4 months, and then went on to 4X capacity. Reduced monthly costs by 850,000 RMB through less rework, less scrap, higher productivity, and less delays. Inventory levels decreased by nearly 5 million RMB, which meant the factory enjoyed a much stronger cash position.